When it comes to testing new therapeutic approaches for ALS, researchers have a wide variety of animal models to choose from. However, many drugs that have been shown to be effective in animal models have failed in human clinical trials, leading to the question: which animal models are the most effective for modeling human disease? 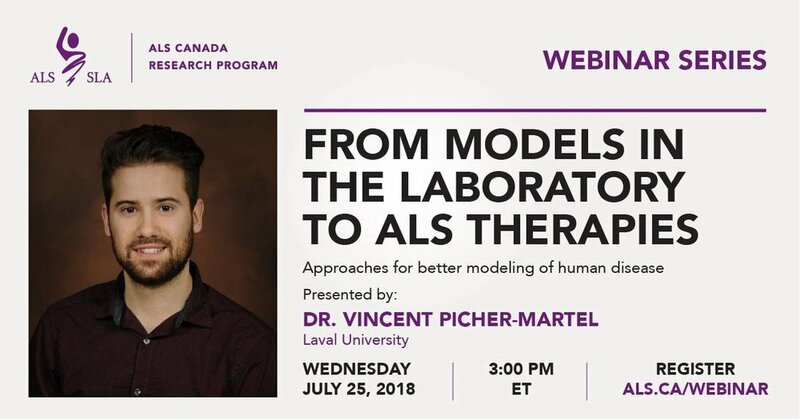 In this webinar, Dr. Vincent Picher-Martel from Laval University will present some advantages and disadvantages of the animal models currently available for the study of ALS. He will also discuss his work using mice models to simulate mutations in Ubiquilin-2 and TDP-43, two genes known to contribute to the development of ALS.